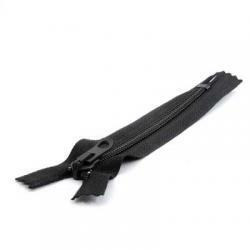 Quality outdoor zippers made in Finland by Salmi Oy. Same zippers as used by major manufacturers like Haglöfs. All zippers are black with durable metal parts. These zips are good for pant flys and pockets.